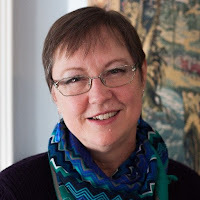 Once again, as with Cindy Anstey's first book, I was delighted with her second charming and witty Regency story, a clean read with romance, mystery and humor. If you are a Jane Austen fan, this YA Regency tale is sure to please. Lydia Whitfield has her future entirely planned out. She will run the family estate until she marries the man of her late father's choosing, and then she will spend the rest of her days as a devoted wife. Confident in those arrangements, Lydia has tasked her young law clerk, Robert Newton, to begin drawing up the marriage contracts. Everything is going according to plan. Fans of historical romance will delight in Duels and Deception, a young adult novel from Cindy Anstey, author of Love, Lies and Spies. 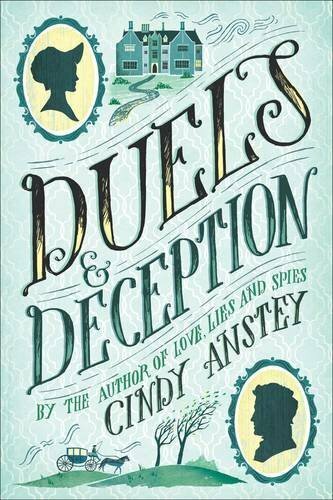 After I read Love, Lies and Spies, which made it to my Best Reads of 2017 list, I knew I wanted to read Cindy Anstey's second novel Duels & Deception. Once again, I was delighted with a charming and witty Regency story, a clean read with romance, mystery and humor. Lydia Whitfield, who does not consider herself the romantic type of girl, is willing to settle for a man who will help her run the family estate, until she meets Robert Newton, a young law clerk. Lydia is unconventional in that she approaches life with logic and reason, not resorting to emotional fluttering of the heart for anything, until she meets Robert Newton. When she gets kidnapped and is put in a compromising situation, Lydia's world is turned upside down as all is no longer black and white but quite muddy...with lots of heart flutterings! Although there is never a question of how the main character and her man feel about each other, it's the coming-of-age journey that Lydia makes that makes this story interesting. It's that discovery and beauty of first love that endeared me to this book infused with intrigue and comical scenes. The author captures so well the feel, speech and setting of the Regency period, making this a thoroughly entertaining read for me. This is very much a character-driven novel, one that fans of Jane Austen will appreciate. If you like YA historical fiction, this one is a feel-good book written about a time when the simple pleasures in life, such as strolling with friends was a highlight. How refreshing! I look forward to reading more from this author who is among my favorites and whose second book has made it to my Best Reads of 2018 list. This sounds like a wonderful book. I have recently started reading regency romances, and I'm really enjoying them! I love Regency romances and would love to read more. Ah the danger of reading reviews and discovering more books I'd like to read - witty and clean certainly tempts me. And I do like historical romance!